When I began my time at Intesa in August I had just graduated college and had just been married. It was an exciting time. New job, new marriage, new apartment and essentially a new life from a month prior. 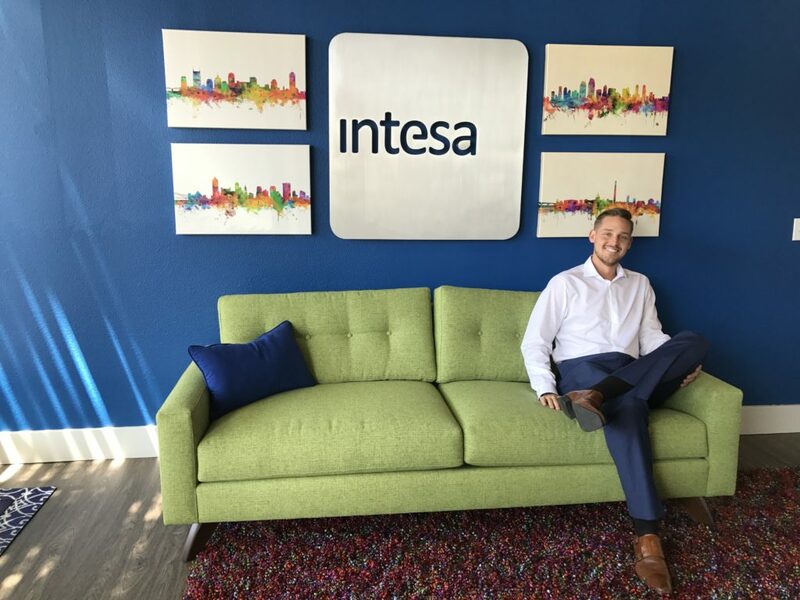 Now that my internship with Intesa is ending, I can look back with gratitude for the opportunities and career development that took place while employed. When I began, much was certain and now that it is ending, much is not. But, I am comfortable in that career ambiguity. Internships are put in place so that a student or recent graduate can learn about their interests, possible career paths, and/or what the next step is vocationally. I learned some of those things during this internship with Intesa so I can confidently say that it was a successful internship. I don’t know if PR or government relations will be my career of choice. But again, that’s okay. That’s the purpose of an internship. Below are a few of my takeaways for the future. The side hustle gives someone fully employed somewhere to still indulge in their passions even if it is for little or no money. It’s a way of fulfilling that part of you that sometimes doesn’t happen through a normal day job. For me, it wasn’t a distraction and actually helped me perform better during my hours with Intesa. I’m leaving with two published articles under my belt, one with Locale Magazine and one the San Diego Union-Tribune. Not too bad. In order to be a better professional, I had to work hard on the minute details that eventually would lead to the larger tasks. In my experience, it came down to formatting, which sounds rather silly. It meant that every attachment I wrote or emailed was to be formatted as if handing it directly to a client. These details make a difference. Each of the above takeaways play a part in #3 but this is the most important thing that I learned. It’s a simple motto that means to work hard. It means to think outside of the box and get into the head of the client for whom you are working. It means to fulfill expectations and go the extra mile, every time. The takeaways from this internship will be invaluable to me as I step further into my career. What I learned from my time at Intesa is largely due to the guidance and support of Margie and Maddy. Both of them have been bosses of the highest standard from start to finish. They took a personal interest in my development as a professional and assisted me throughout my internship. They are some of the most personable bosses I’ve had and it is my hope that each employer of mine going forward would be of the same attitude and character. Jesse Oleson is a graduate of Point Loma Nazarene University. He interned with Intesa in the fall of 2017, and now is pursuing a career in creative writing. You can read more of Jesse’s work at www.jesseoleson.com.